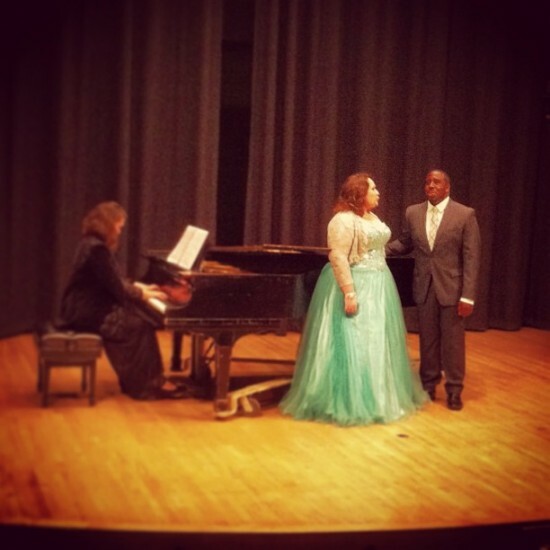 Hi, my name is Daniel E. Sampson and I am a tenor finishing up my Music Education - Voice degree at Loyola University. I regularly sing for the New Orleans Opera Chorus and the St. Louis Cathedral. I mostly perform in classical and church settings (weddings, funerals, Catholic and Protestant services) but I am more than capable to sing other genres. I am a big fan of and love singing musical theater and I am currently working on a R&B/Soul project with two other talented musicians. I was looking for a R&B singer to serenade to my mother-in-law at her 76th birthday luncheon, I searched online and found Daniel E. Sampson and what a beautiful surprise! He sang Mama by Boys II Men and My Girl by The Temptations and did wonderfully. The whole family was very pleased. Thank you, Daniel, for making her day! Anyone that hires Daniel will not be disappointed. I hired Daniel E. Sampson for a large dinner party I was throwing. I met Daniel through a friend a couple of years ago and I knew that he was a performer. Daniel, along with his pianist, performed two or three songs every thirty minutes or so throughout the night, and each set he performed a new genre. He was able to switch from opera to musical theater to blues with ease. He really made the night special. I can imagine him performing well in all settings, from sacred to casual events. I'm so glad I had the chance to work with Daniel and hope to do it again soon. Great Find! 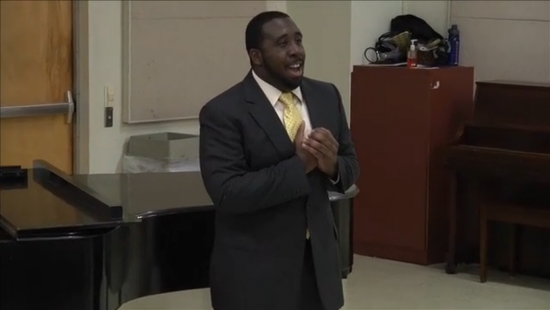 Hailing from Baltimore, Maryland, Daniel E. Sampson, Tenor is finishing up his Music Education- Voice degree at Loyola University New Orleans. He currently studies with Mr. Druex Montegut and has previously studied with Mrs. Janice Jackson and Mrs. Jennifer Viets. He is a chorister with the New Orleans Opera Association, performing in the Placido Domingo Gala in 2012 and in Samson et Dalilah in 2013. At Loyola, Daniel has performed with Loyola Opera Theatre in "The Grand Duchess of Gerolstein" and "Candide." He also serves as Tenor Section Leader for the St. Louis Cathedral in New Orleans, Louisiana.